A few years ago, I was attending a seminar in Jakarta, something on the legal aspects of accountancy or something similar. Anyway, I was there with one of our young lawyers. In the evening, while going out for dinner with him, we stopped at a shoe shop and he was eyeing this shoes made out of canvas and rubber. At that time, I was ignorant to know that what he was buying was probably one of the better known products known to young people but not to old fogeys like me. The shoes looked like this. To most people my age and older, this kind of shoes, you buy at any kadai Cina for about $5 a pair or maybe $10 if it looks lasting enough. People who played sepak takraw (what do you mean you don't know sepak takraw), loved to use this shoes because it protects their ankles. Some calls it stupor Labuan. I remember the shorter version because every weekend I was forced to brush and wash the canvas and apply a white chalk to make the shoes looked white. In short, everyone wears this not because it is a fashion statment but because it was the cheapest shoes ever made. We don't wear fancy shoes to school in our days. However that young lawyer bought a pair for about $100 a pair. I was shocked when I heard the price. I guess the brand name must have added at least 3/4 of the price. Fast forward to this year. My son is now 10 years old. He wanted the same shoes. He now knows fashion and I guess peer pressure. So when I was in Bangkok I bought him an all black pair size 3 or equivalent to size 35 for around 800 Baht ($35 our money). A couple of weeks later, I bought another pair for him in UK and this time, it cost around GBP36.99 which is around $80 our money. You see, that same canvas rubber shoes are now sold under the brand name of Converse and at different prices throughout the world. And Converse apparently make shoes for the American basketball players. Marketing! Market your products right, you can price them right. 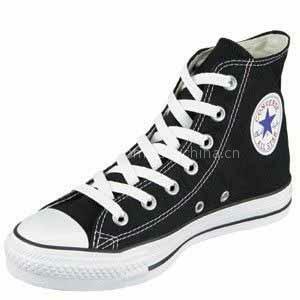 Incidentally do you know that Converse shoes are owned by Nike? Nice one chief! Gone are the days of the bata shoes and the stupur labuan! I too have sunk countless number of dollars on these Converse shoes for my kids! Soon your son will discover the latest rage, Supra Shoes which remind me of those breakdance shoes of the 80's, and they cost even more! The 2 elder ones have been eyeing on converse.... lucky they have older cousins - we now have 2 pairs of converses handed down, and at $50/pair, that is already a $100 savings! 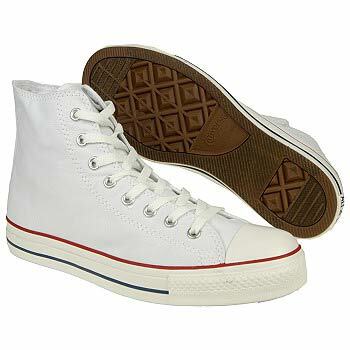 Just wondering if the 'Converse' sneakers you found in Thailand as well as in Brunei are actually authentic Converses. I mean, I would think that they are cheaper because they are counterfeit (but well-made!). And coool, I didn't know Converse was under Nike!